We decided to have a second tech day this year. 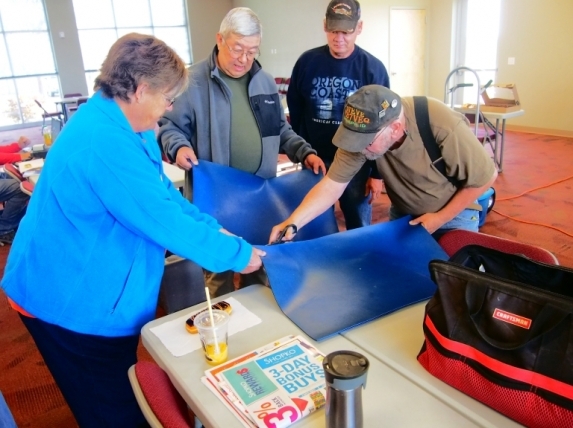 A lot of interest was on the digital modes and several members where asking about making antennas. We started at 10 AM at the Hubler Terminal of the Caldwell Industrial Airport. We spent most of the time working with digital PSK31, and SSTV. We made sure everyone's computers had the software loaded on it and they could transmit and receive in the two modes. Steve, WB7VEQ, worked on and antenna and helped with a power supply that was causing its owner some grief. The participants where: Nancy, KF5WQJ, Deb, KE7TMF, Bill, KD7FDW, Steve, WB7VEQ, John, KD7HGS, Tony, KI7TMZ, Rob, W7BL, Rick, KE7PNW, Bob, W7RLS, Craig, KD5ODQ, Greg, KJ7ACI, and Don, KC7U..
John, KD7HGS, and Bob, W7RLS, helping Rick, KE7PNW, load and setup software on his laptop. 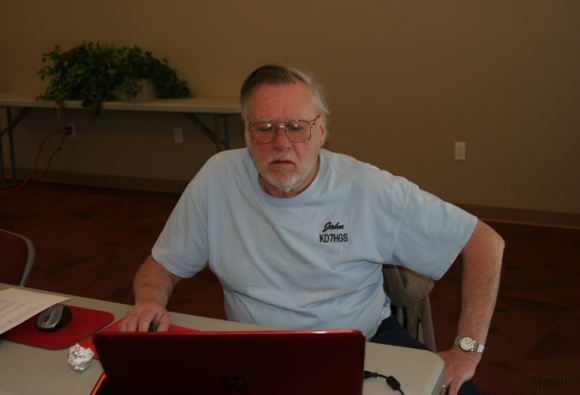 John, KD7HGS, setting up software on Craig's, KD5ODQ, Laptop. 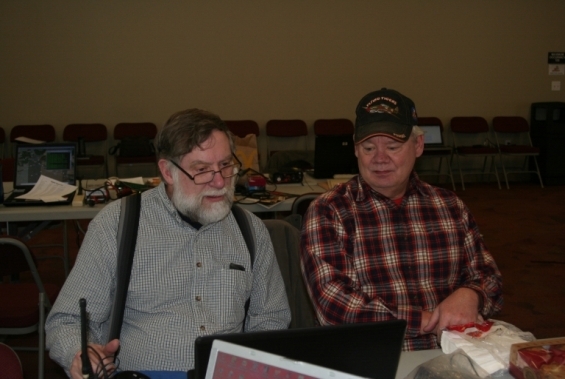 Bob, W7RLS, on the right, helping Rick, KE7PNW, with his laptop. Bill, KD7FDW, obtained some static pads from his place of employment and shared them with us. 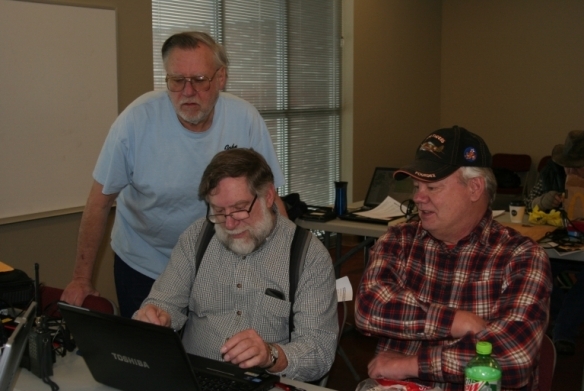 Deb, KE7TMF, and Steve, WB7VEQ, are cutting one sheet into manageable sections while Bob, W7RLS, looks on. Thanks Bill.